Peel and slice peaches. Stir together yogurt and 3 Tbsp. honey. 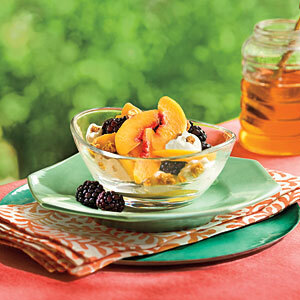 Divide peaches, blackberries, yogurt mixture, and granola among 4 glass bowls. Drizzle with additional honey, if desired. Serve immediately.